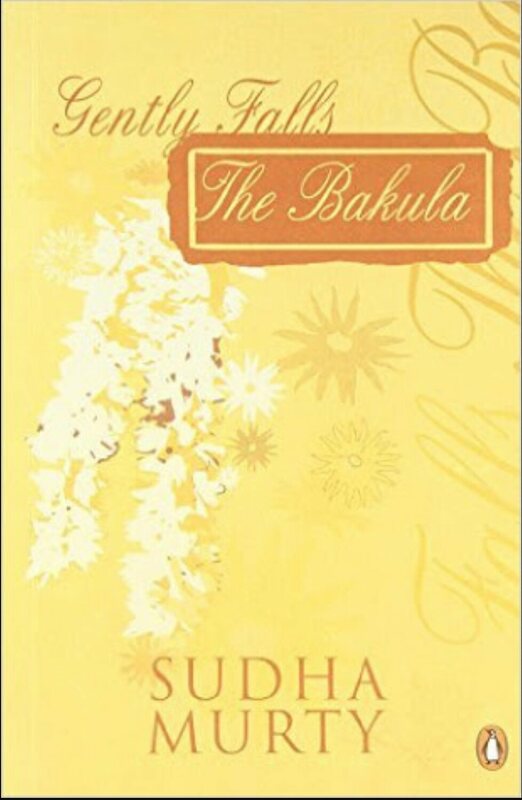 Gently falls the bakula, written by Sudha Murthy, is a story of how a marriage loses it’s way due to critical self interests. It is a reflection of social reality. In the sleepy town of Hubli, lived the two lovers Srikant and Srimati. They were neighbours and their families had been in a conflict since a long time. Srimati had a profound love for history whereas all what mattered to srikant was constant progress. Though the families didn’t go on well, the two were resolved to love each other for the rest of their lives. There stood a bakula tree in the centre of their veranda whose flowers bloomed and the fragrance of it lasted all year. Srikant was attracted to the bakula flower and Srimati always wore a flower on her hair. That bakula flower on Srimati’s long hair had made him fall for her. After marriage, Srimati and Srikant moved to Mumbai, then called Bombay. Srimati was offered to study abroad but she simply denied the offer because of her dedication to her husband. She had given up her ambition, the first love of her life, history. Srikant was busy climbing the corporate ladder as fast as possible. He paid little or no attention to his wife and her concerns and would always drive away the idea of going to Hubli whenever she insisted. The pressure and rage inside srimati intensified. They had no kids and Srimati felt lonely. Her mother in law didn’t treat her the way she treated her own daughter.She had been bearing silently everything setting the example of a perfect wife. But for how long? Her talents were going futile. She had a hard working husband, money but what was lacking was affection. She wanted someone to talk to her, to listen to what she has to say and appreciate her for what she had done. Srikant treated her like a secretary, except she wasn’t being paid for it. Attending Srikant’s guests, welcoming them, doing his packing whenever he flew abroad, maintaining his schedule, all this was mocking her right into her face. And then came the time to put an end to this torture. She started picking fights, arguing, answering back at Srikant, flaring her anger, pleading and begging Srikant to take a few days off and stay home. His ignorant attitude towards his own wife had made Srimati take extreme steps. She corresponded with the Professor who had offered her to study abroad. She made all the arrangements and flew away, away from Srikant saying she isn’t sure when she shall return.The title fits the whole story perfectly. The bakula flower symbolises Srikant’s and Srimati’s love for one another. Since the flower wasn’t looked after well, it had fallen gently. Srimati going away came as a total shock to Srikant. The story is written making use of straightforward language and simple, uncomplicated words. It pulls the emotional cords of our heart thus conveying the message. The beginning is dull where Sudha Murthy describes the school life of the two characters. It makes you put down the novel and pick another one. But if you decide to continue reading it, the events and the rising action makes you sympathize with the central character Srimati. It is an open ended story with no concrete conclusion. The narrative style is engaging and simple. I’d rate the novel 3.5 out of five because although it highlights the social trauma effectively, the plot moves slowly and the exposition drowns you into sleep. If the story had a conclusion of Srikant realizing his mistakes and getting back with Srimati, I would have been happier. It makes you doleful and emotional. If that’s what the author had intended to do, then I would say, great job!